Post UPDATED on February 15, 2016. Click here to go directly to the update. 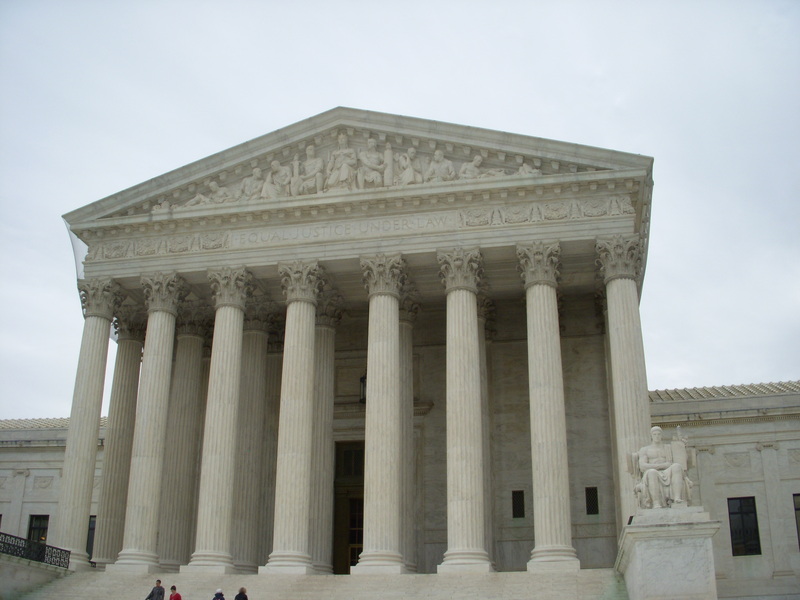 On January 11, 2016, the U.S. Supreme Court heard oral arguments in Friedrichs v. California Teachers Association, a case with serious implications for public-sector unions. The court’s decision was expected in late spring or early summer 2016. With the sudden passing of Justice Antonin Scalia on February 13, a question on many minds is what will happen to cases on the docket for the current SCOTUS term. For union members and supporters, Friedrichs v. CTA is among the most pressing. During the oral arguments in January, questions and reactions by the SCOTUS justices hinted strongly that a 5-4 decision against CTA (meaning answers of “yes” to both of the above questions) would be the likely outcome. Votes that the Justice cast in cases that have not been publicly decided are void. Of course, if Justice Scalia’s vote was not necessary to the outcome – for example, if he was in the dissent or if the majority included more than five Justices – then the case will still be decided, only by an eight-member Court. If Justice Scalia was part of a five-Justice majority in a case – for example, the Friedrichs case, in which the Court was expected to limit mandatory union contributions – the Court is now divided four to four. [T]he questions presented in this appeal are so insubstantial as not to require further argument, because they are governed by controlling Supreme Court and Ninth Circuit precedent. . . . Accordingly, we summarily affirm the district court’s judgment. But now with an eight-member Supreme Court from which a 4-4 vote is likely, the 9th Circuit’s affirmation to uphold existing fair share rules and opt-out procedures will stand, at least for the time being. The practice of holding reargument is important for three kinds of cases that are now pending. First, in cases in which the more liberal side won in the court of appeals (for example, the Friedrichs union fees case), that side will be deprived of an affirmance by an equally divided Court. It could well lose if Justice Scalia is succeeded by another conservative. Transcript of January 11, 2016, oral arguments. Washington, DC — Today, the Supreme Court heard oral arguments in Friedrichs v. California Teachers Association, a case which threatens to reverse decades-old decisions allowing for the collection of fair share fees from public employees. The case has far-reaching consequences for American workers, students and the public. Fair share fees fund a range of activities that improve the quality of education and the wellbeing of students as well as educators. More information on the case and the amicus brief filed by the AAUP is available here. The mission of the American Association of University Professors (AAUP) is to advance academic freedom and shared governance; to define fundamental professional values and standards for higher education; to promote the economic security of faculty, academic professionals, graduate students, post-doctoral fellows, and all those engaged in teaching and research in higher education; to help the higher education community organize to make our goals a reality; and to ensure higher education’s contribution to the common good. Founded in 1915, the AAUP has helped to shape American higher education by developing the standards and procedures that maintain the quality in education and academic freedom in this country’s colleges and universities. Click here to read an analysis of today’s oral arguments on SCOTUSblog. Click here to read the transcript of today’s arguments. Click here for our previous post on the WMU-AAUP blog re. Friedrichs v. CTA. A decision on the case is expected in June.